So, the first one I will mention is Code Geass soundrack called “0” . 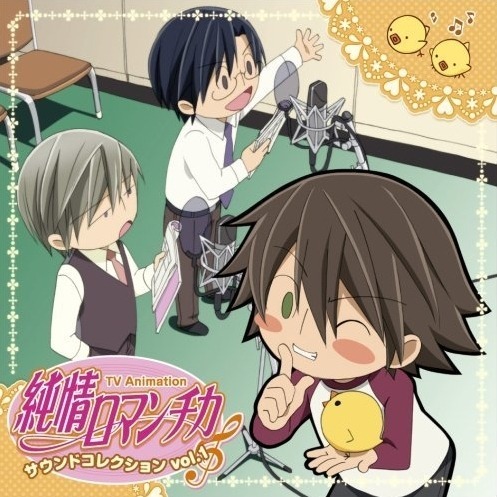 I am actually a big CG fan, and when I first heard the BGM in the show I instantly started looking for the album in the net. Putting the show itself aside, the music for it was nearly perfect. It not only fit the show perfectly, it was standing out on it’s own as well. The first track that fell into my hands was this very one (obviously, because “0” is the first track in the first OST album oO”) and I fell in love with it instantly. I, personally, like strong music so this hit my ear perfectly. I just loved the Arabic feel that the guitar solo and a violin choir(not actually a choir, of course, but I just can’t find a better word! ><) playing the same melody gave off. Also, the wind instruments(Idk how they’re called in English the other way >.>) giving a slightly lower sound and resonating with high-pitched violins sounded so perfect!! + the slight piano accords in the background, very strong drums and plates backing up the melody and I think a bass-guitar too. All of these instruments create such a strong and epic soundtrack that you must hear it to get the idea what am I talking about. There are no words that are strong enough to describe the intensity of this track. Or at least, I am not good enough at English to be able to do so. runner-ups – “Nightmare“, “Elegant Force“, “Eternal Separation“. I heard this play in the end of ep. 3, if my memory isn’t failing me, and I instantly fell in love with the track. The melody is very light, flowy and goes on very easily. There is no other instrument in existence that could pull off this song more perfectly, than a violin, and the quiet, toned down guitar gives the light violins the support and strength. I’m still not entirely sure, that it’s a guitar, if I’m incorrect, please, make sure to let me know 🙂 But anyways. There are no other instruments in this track, as far as I can tell, only the sound-effects here and there, which light up the music. The rest is done by the duet of violing, on of them more strong and toned down, and the second one, mainly playing an octave higher. I loved, how the higher pitched violin played different melodies at some moments, because it made the song more playful and dimensional. Overall, I can’t get enough of the positive emotions that just come crashing out of this soundtrack! If you listen to it a couple of times, you will smile, whether you want to or not. The reason I chose this soundtrack is because it’s so strong, that it literally made me cry. Not just tear up a bit, I was seriously crying. You probably think that I’m weird, but what can I say, I’m addicted. Anyways. Instruments-wise, it’s very simple, because there are only two instruments here: a Harp, and a Xylophone. HOWEVER. Despite that both of the instruments sound really gentle and soft, the melody is so brilliant, that the softness of the Xylophone as a main lead and mildness of the Harp in background make the most perfect, beautiful and bittersweet duet I have ever heard, and I’ve heard a lot. Despite the fact, that formally, the melody is simple, soft and light, at the same time it’s really sad, and the combination of a toned down Harp and high-pitched Xylophone make it sound really heavy and deep. If you are a lover of music and can feel through what you are listening, you can immediately sense the emotions crashing out of this track. Every time I listen to it I close my eyes and wanting it or not, I smile, but feel bittersweet at the same time. 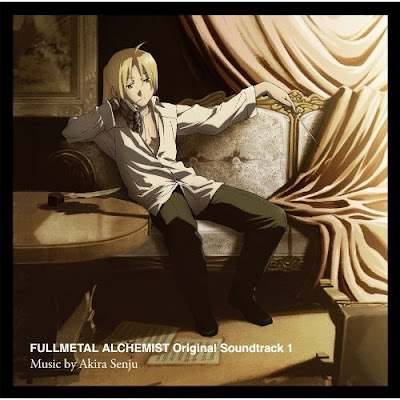 runner-ups – “Requiem“, “The Fullmetal Alchemist“, “Lapis Philosophorum ~Piano Solo~ ” and basically, almost all the tracks from all OST CDs of FMA, FMA the movie and FMAb.